The EMI-tec since 1986 is specialized in challenging individual solutions of RF shielding and is well known as a competent partner for the automotive, telecommunications, aerospace and other industries industry. 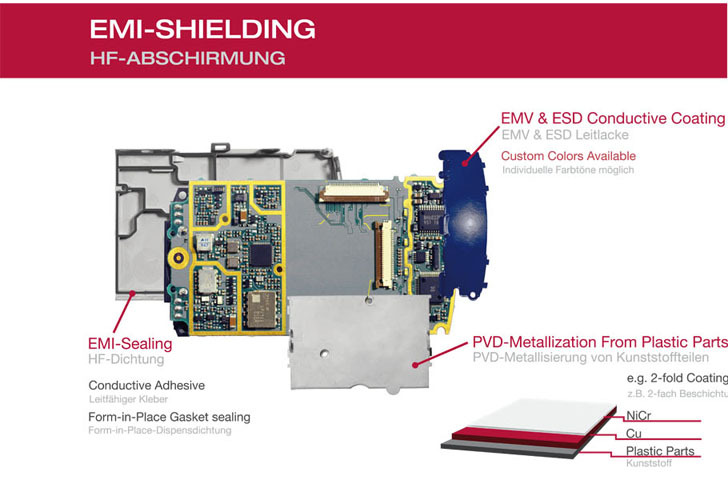 Worldwide the EMI-tec successfully advises, its customers to implement individual production-ready solutions for EMI shielding and sealing the housing and electronic components. Particularly successful, the company sells this highly conductive compounds, conductive elastomer gaskets, conductive coatings and metalization and also its conductive adhesives and films. The shielding of outgoing electromagnetic radiation of electronic components and shielding of the incoming electromagnetic radiation on these components, gains more and more importance. EMI-tec offers solutions for EMI shielding like conductive coatings such as vacuum coating of plastics (PVD), highly conductive paints and materials that cover the remaining gaps between the individual parts elastic. 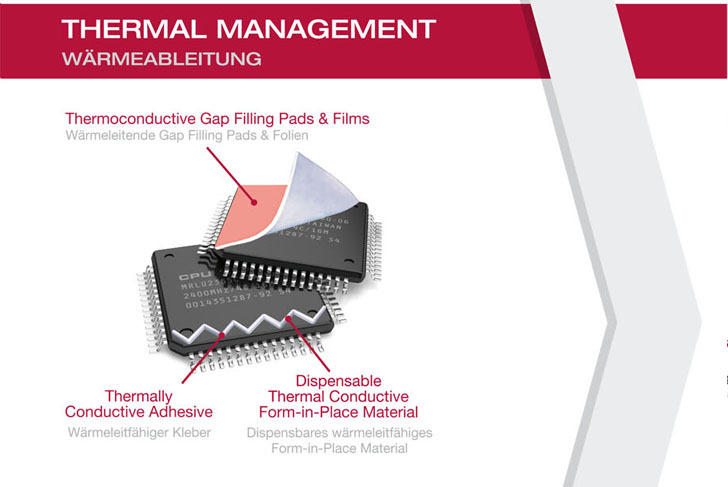 Furthermore the EMI-tecprovides pre-cutted, extruded and molded conductive elastomer gaskets, compounds and adhesives, surface-conductive materials and custom metal gaskets. A third category is transparent conductive materials for shielding of visual elements, displays or for shielding windows generally. In addition, the company offers Thermal Management Materials like gap filler pads, liquid heat conduction and heat-conducting films, an important area of heat dissipation.